Hey Guys! Chala here for today’s blog post. It has been pretty cold where I am and I thought I would brighten things up with some sights and smells of summer. I will be using the Orange You Sweet set from Concord & 9th. I am going to be giving this card a twist! It will be a scratch and sniff card. This is actually a pretty easy technique with some great results! 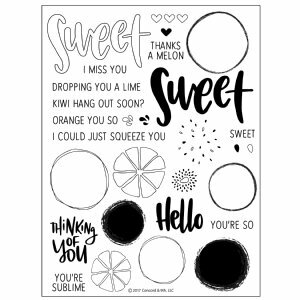 The first thing I will do is prepare a piece of white card stock which measures 2 1/4″ x 5 1/2″ and I stamp out the circle or outside of the orange image across the panel. 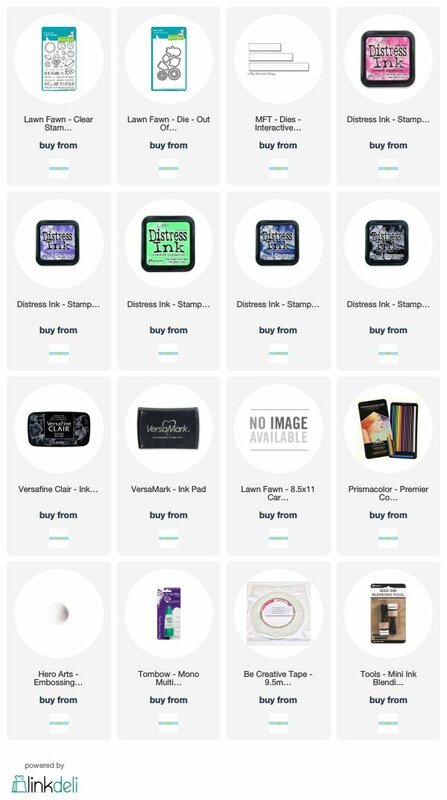 My go-to ink for stamping is Versafine ink. I then stamp the segment portion of the oranges. I then will stamp the solid circle overtop of the segments with Distress Oxide ink in Spiced Marmalade. The next steps are where things get fun! 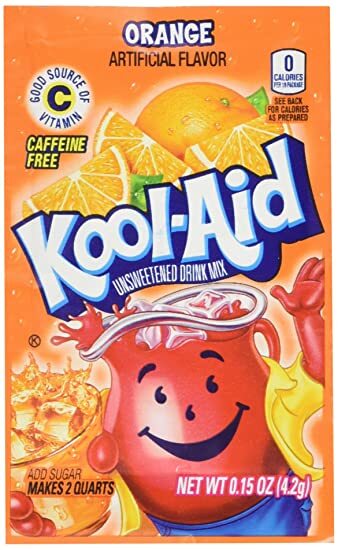 In a container I combine orange Kool-Aid with some clear embossing powder. The ratio is approximately 1:1. I will then use the solid circle again and stamp over top of the stamped spiced marmalade with Versamark clear embossing ink. I then sprinkle the kool-aid/embossing powder mixture overtop of the reined image and then set it with my heat tool. You want to make sure your heat tool is good and hot and be sure to keep moving it so as not to scorch the kool-aid. I set that aside to cool. The next step is to prepare my card base. It is a standard A2 (5 1/2″ x 4 1/4″) side folding card. I cut down a panel from some patterned paper and adhere that to the card base and then adhere the orange stamped panel on top. For the sentiment I use some black card stock and treat it with my antistatic powder tool. I chose the “orange you so” sentiment and stamped it with Versamark clear embossing ink, apply white embossing powder and heat set. I will trim the sentiment strip down and apply 3m Foam tape to the back. Before I adhere the sentiment strip to the front I want to finish off the inside of the card. I use my stamp platform stamped the outline of the “Sweet” with Versafine ink and the solid “Sweet” with Spiced Marmalade. To give the inside sentiment a bit more interest I add some clear Wink of Stella to give it some sparkle. I was a little off with the stamping of the Spiced Marmalade, but I am okay with that. I also stamped the little splashes in the same orange colour. I then move back to the front of the card to add the sentiment strip. That completes the card! Here is the finished look. Here’s a look at a second card I created with the same stamp set. Thank you so much for stopping by today! If you would like a better idea of how this card came together, you can head on over to my YouTube channel and watch the video. Stay warm and happy crafting!